Young, black and holding great ambition in his heart, we've all felt this way but how many have followed through. 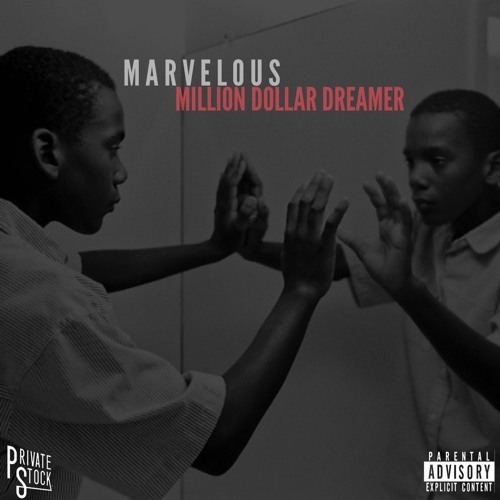 New comer, Marvelous, is one of those young males who's here to work toward better things. We learn a few thing about his through this single called "Million Dollar Dreamer", from being a smoker, to repping Chicago and its stigma, growing up and life as a child has faded and thing are now serious and he's looking to experience more, like overseas tofu. "Million Dollar Dreamer" gets production from Born Ready, who provides some hard hitting sounds with a heavy bang. As easy as this production from could overshadow a weak artist, Marvelous style is just too strong. He brings aggressive raps that appeals to any person with million dollar dreams. Expect to hear this on the upcoming project "I Accept Your Apology".